The Sims 4 is getting better with every passing month as the developers Maxis release one new pack after the other. Be it a stuff pack, expansion or game pack, they make sure players have something new to look forward to. Out of the lot, the upcoming Cats & Dogs pack is definitely one of the best and most wanted of them all. 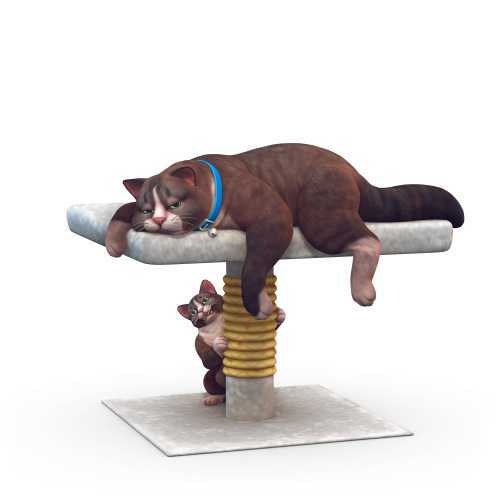 The adorable cats, dogs are so cute, cuddly and are sure to make your pet dreams come true in the virtual world. Even people who can’t manage such pets in real life can enjoy an alter-ego in the world of the Sims 4. The developers Maxis and publisher Electronic Arts revealed a long list of screenshots, renders from this special pack. The team also detailed all the pet varieties including the type of dog breeds you could own and cats. Some of them are very touching as it shows these pets spending some quality time and having an intimate moment with their owner. Sims of all age groups can own a pet which will drastically change their life and make them more lively. If you can skip the emotional look these cats and dogs give, you are truly heartless (just kidding! No, seriously!). When these pets want get things done, they will go to any extent just like the in the real world to make you do what they like to. For example, if your dog is in the mood to hit the park or beach for a ball game, it can nudge you into going out. 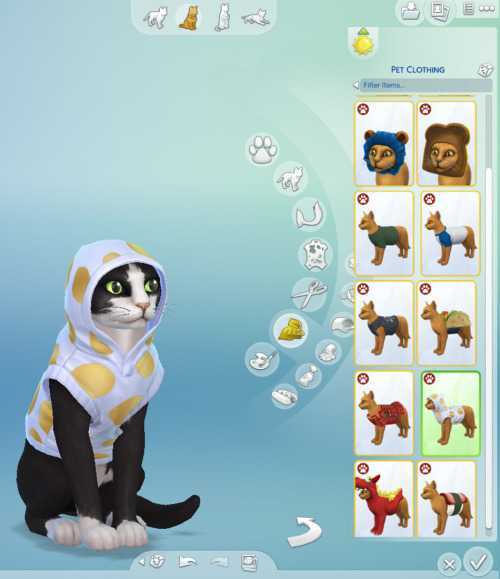 Players can also dress up their pets in the Sims 4 Cats & Dogs DLC the way they like it to. A wide range of costumes, tattoos and other accessories are provided for you so as to let your imagination run wild. The developer team also released a new trailer, the Perfect Pet Quiz which showcases the different types of pets you could own and to identify the best out of the lot. Once the pack is out, it is easy to predict that people will dress their cat or dog in amazing outfits, make it look unique and fill the gallery up with their own collection of photos. It could even lead to pet shows, parade and much more if those are added later into the Cats & Dogs pack as an update. The Sims 4 is getting launched on Xbox One and Playstation 4 consoles this year along with selected DLCs.